Zucchini is everywhere right now, and this recipe for zucchini fritters will be the perfect addition to your weekend brunch. All you need to do is add a soft boiled egg or a fried egg and you will be in heaven. Oh, and don’t forget a touch of hot sauce. I think hot sauce makes everything better, are you with me on that? Or, if you are feeling a little on the lazy side (let’s face it, who isn’t at the end of July) you could just eat these plain and call it a day, no shame in that whatsoever. 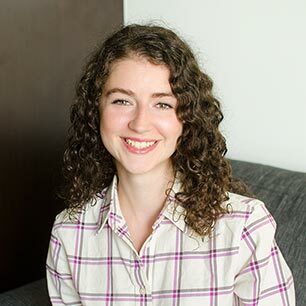 After looking at hundreds of recipes online on other blogs (as I find myself doing on a regular basis), I realized that I’m really lacking in zucchini recipes on here. Gasp! I think it’s because growing up, I never really liked zucchini very much and my mom didn’t cook with it a lot. However, now that I’ve been awakened to the amazingness that is zucchini, things are about to change. I’ve got you covered for this summer vegetable because I’ve got a couple of zucchini recipes up my sleeve for those of you with bountiful zucchini growing in your garden or for those of you like me, who just really like zucchini. When it comes to zucchini, I think that zucchini fritters are a pretty typical way to enjoy zucchini, there is just something about frying this delicious, green vegetable that is so tempting. I wanted to make mine a little different and I did a bit of research and decided that I needed to add another favourite summer ingredient to the fritters – fresh basil. It may seem a little crazy, but fresh basil and zucchini are a match made in heaven. You can find more of this combination in my grilled zucchini and basil salad and also in my recipe for zucchini basil mini quiches. Obviously this flavour combinations is one of my favourites. I also added some fresh chives which I’ve been growing in my garden for years. I love the hint of onion flavour they add to these to compliment the rest of the ingredients. There aren’t many foods, other than the holy trifecta of bacon, eggs and toast, and we can’t forget pizza that you can eat for dinner and breakfast. 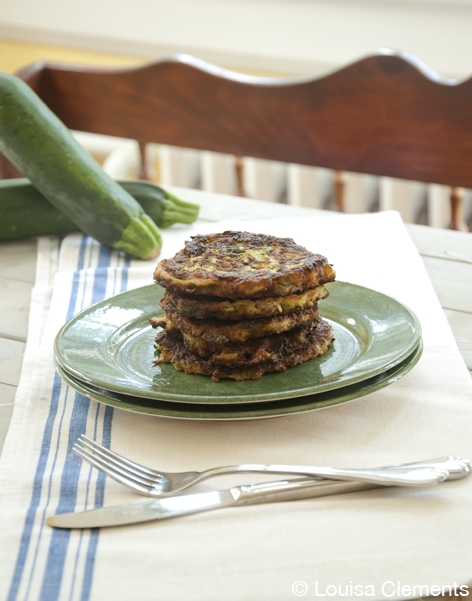 However, you can add these zucchini fritters to that list of breakfast and dinner foods. I feel like these would even make a good packed lunch because they taste amazing when they’re cold. I like to eat mine with a little ketchup mixed with sriracha – it’s so good. Add some fresh herbs like basil and chives to this classic recipe for zucchini fritters. This is a simple recipe that is perfect for breakfast, lunch or dinner. Just top with a friend egg or serve with spicy ketchup and you’ve got yourself a meal. In a colander lined with paper towels, place zucchini with 1 tsp of salt. Allow to sit for 10 minutes. After 10 minutes, using more paper towel if necessary, squeeze out as much liquid from the zucchini as possible. Combine zucchini with remaining ingredients in a large bowl. Cover the pan with oil, heat over medium-high heat. Using an ice cream scoop, drop one scoop per fritter into the hot oil. Cook for 2-3 minutes per side. If you find that the fritters are cooking too quickly, turn the heat down to medium and continue frying. If you’re looking for more ways to use up your zucchini, try my Stuffed Mushrooms, but first give these zucchini fritters a try, you won’t be disappointed..
Could you sub the plain yogurt for Greek yogurt? Not for a taste or nutrient thing, I just already have a whole tub of Greek! Hi Alexan, yes you can. I hope you enjoy!